Adidas Originals Ultra Tech Trainers In White, Full lace fastening in white set on a grey suede leather lace stand. White woven mesh uppers and suede leather overlays in light grey and dark grey with white woven mesh panels around the heel. 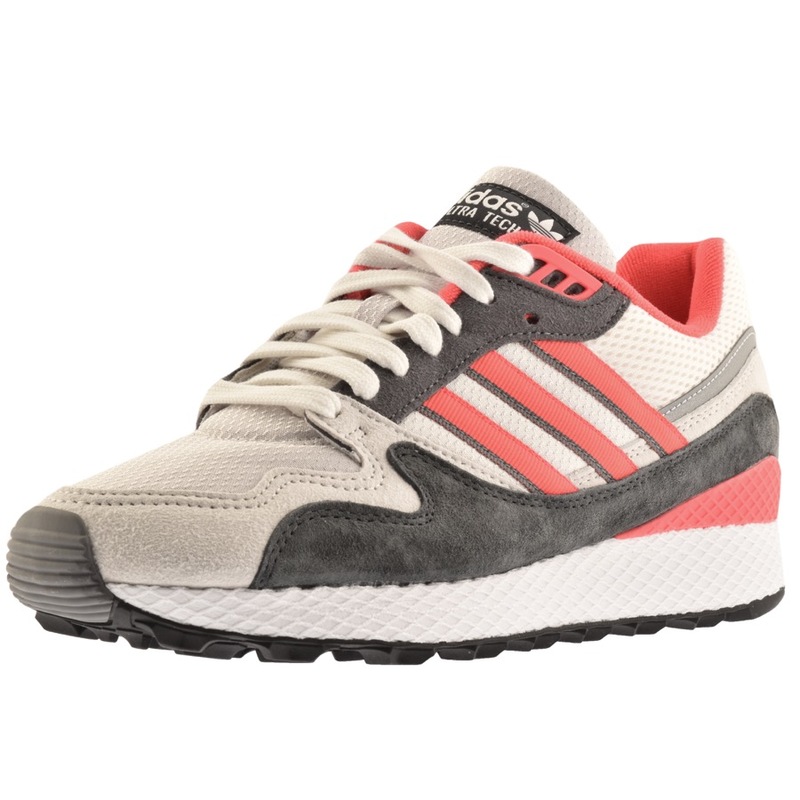 The signature Adidas Three Stripes design is on the instep and outstep in footwear pink and grey. A off white padded tongue with the signature Adidas Ultra Tech logo patch situated at the top in dark grey and white. The signature Adidas Trefoil logo is embroidered on the reverse of the heel in pink. A crystal white vulcanised rubber sole with a web wrapped overlay and a core black rubber undersole which features Adidas branding in pink. Part Of The Brand New Collection Of Adidas Originals Trainers and Flip Flops Live Online.